The Python Elif Statement also called as the Python Else If Statement is very useful when we have to check several conditions. The Elif python statement handle multiple statements effectively by executing them sequentially. 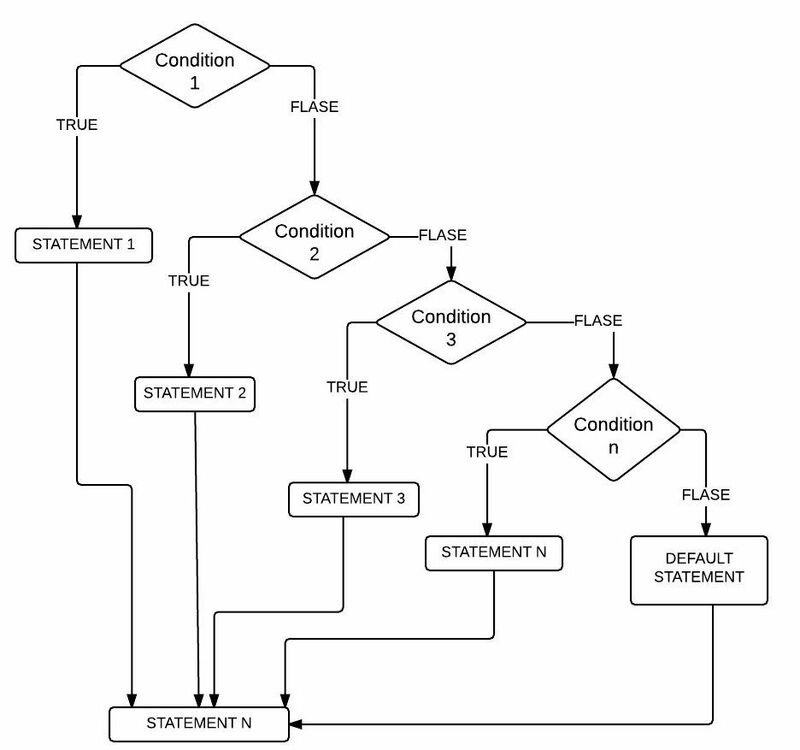 It will check for the first condition, if the condition is TRUE then it will execute the statements present in that block. If the condition is FALSE then it will check the Next one (Elif condition) and so on. In these situations, statements under the Condition 1 will be executed because Python ELIF conditions will only be executed if its previous IF or ELIF statement fails. In this elif in python program, User is asked to enter his total 6 subject marks. Using Python Elif statement we are going to calculate whether he/she is eligible for scholarship or not. In order to do this, Please open your favorite IDLE to write Python script and here we are using Python 3.5.0. 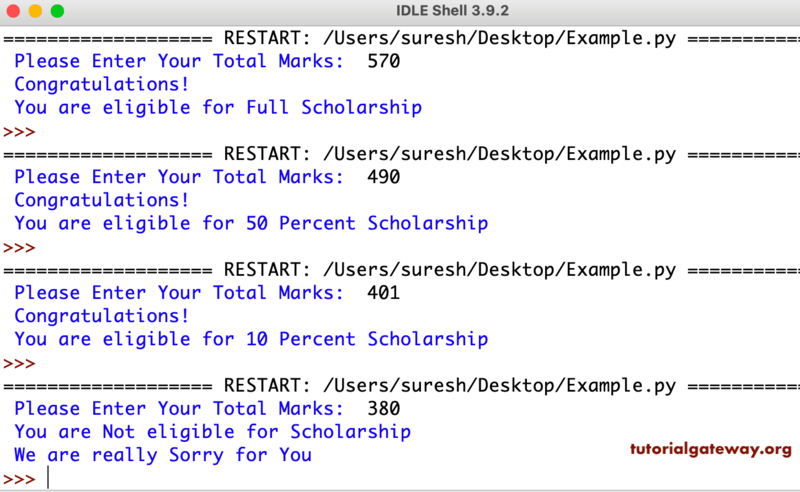 Once you click on Run Module, Our Python shell will pop up with message “Please Enter Your Total Marks:” . OUTPUT 2: This time, let me test the elif python statement. For this, we are going to enter Totalmarks to 490 means first IF condition is FALSE. It will check the elif (Totalmarks >= 480), which is TRUE so it will print the statements inside this block. Although else if (Totalmarks >= 400) condition is TRUE, but it won’t check this condition. OUTPUT 3: This time we entered Totalmarks as 401 means first IF condition, else if (Totalmarks >= 480) are FALSE. So, It will check the else if (Totalmarks >= 401), which is TRUE so it returns the statements within this block. OUTPUT 4: We entered the Totalmarks as 380 means all the IF conditions Fail. So, It returns the statements inside the else block.